Whether you have leg pains associated with varicose veins or purely cosmetic concerns linked to unsightly spider veins, our board-certified vein specialists will devise a personalized treatment plan that fits your condition. Our is staff is equally proficient at performing the most advanced and minimally-invasive procedures that include endovenous laser ablation, radiofrequency ablation (Venefit), ClariVein treatment, sclerotherapy, and microphlebectomy. Regardless of what treatment option you choose, we will deliver the highest quality of care and ensure that your specific vein concerns are addressed in a safe and comfortable manner. Compared to enlarged and bulging varicose veins, spider veins are generally smaller and not as painful. They commonly manifest as the web of red or blue veins that spread below the surface of the skin, becoming more prominent as we age. Like varicose veins, spider veins tend to develop in the legs, but they can also appear on the face, especially around nose or under the eyes. Known to be safe and painless, Limited risk and discomfort, guaranteed up to 74% less pain than other peripheral vascular treatments .There is no risk of thermal injury or nerve damage. this minimally-invasive procedure is ideally suited to treat superficial bulging veins that are too large for Sclerotherapy. The heat produces a steam bubble inside the vein, which destroys the vein walls. As the affected vein collapses, the body naturally absorbs the dead tissue. To better consider different vein treatment options available to you, schedule a consultation with one of our experienced vein specialists. Scheduling a consultation allows your physician to carefully assess your needs and discuss your expected results. It also helps you better understand specific benefits and risks associated with each vein treatment procedure. 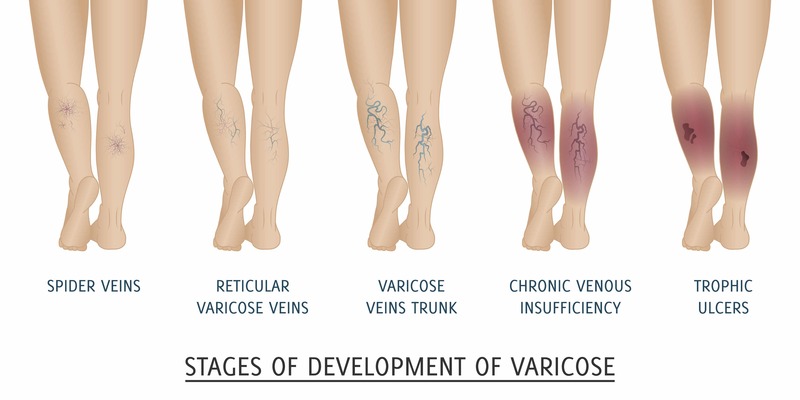 During the consultation, one of our specialists will go over every step involved in varicose or spider vein therapy to make sure you understand what to expect from the procedure. Our staff is known to dedicate a substantial amount of time to an in-person examination to better evaluate the imperfections in need of correction. Such a careful and personalized approach allows our specialists to effectively realize the patient's vision of desired vein treatment results.